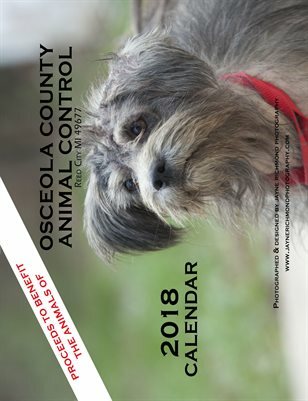 This 12 month calendar features over 190 animals from Osceola County Animal Control in Reed City, Michigan. The proceeds from the sale of this calendar will go directly to helping the animals at the shelter. The calendar was designed and photographed by volunteer shelter photographer Jayne Richmond.